Creating chemistry-based solutions has never been easier with the release of ChemStack®. ChemStack provides a rich suite of chemically intelligent technologies that allow for immediate creation of advanced chemical software systems with a focus on chemical structure search environments. 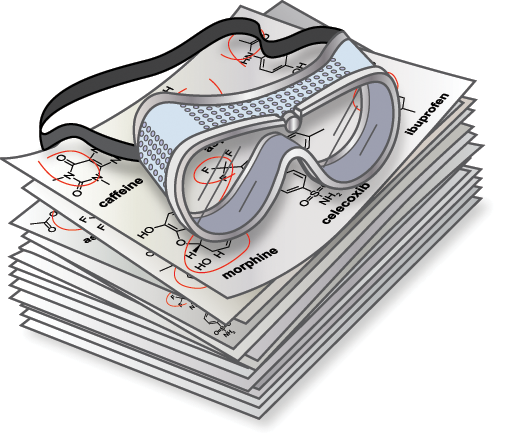 Chemical information requires complicated data structures to fully represent a significant amount of information, from basic atom and bond connection tables to complex chemical details including aromaticity and stereochemistry. It is difficult to create these systems while supporting current platforms. ChemStack provides all the required components using the latest technologies. This approach allows developers to create a rich user experience across the range of today's popular platforms used by scientists. ChemStack provides thorough, mature and highly customizable tools for creating and deploying all aspects of a chemically intelligent system from a single vendor. ChemStack is used to build a variety of chemically intelligent systems. Our customers have built many internal solutions as well as their own sets of products that include collaboration tools, information portals, electronic laboratory notebooks, eLearning systems and more! Copyright © 2007-2019 iChemLabs, LLC. All rights reserved.